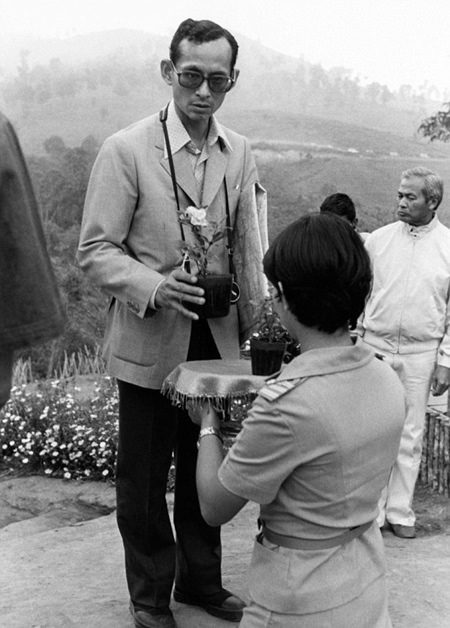 Huay Hom, Thailand (AP) — Half a century may have passed but the villagers of Huay Hom still haven’t forgotten the day His Majesty King Bhumibol Adulyadej descended by helicopter into their remote, impoverished mountain valley in northern Thailand and changed their lives forever. The King, they recall, brought electricity and a road that replaced the trail they trudged over for eight hours to reach the nearest roadhead. Coffee growing was greatly expanded and soon supplanted opium harvests, reaching such high quality that Starbucks is now a steady customer. The village even reaped profits from the royal-assisted raising of sheep and wool weaving, a rarity in tropical Thailand. 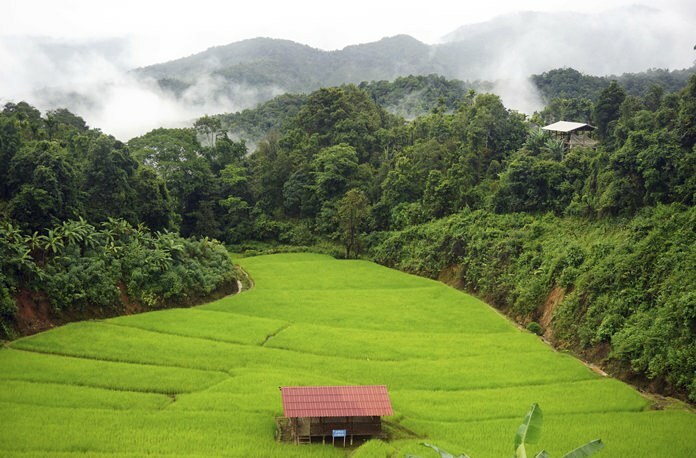 The Royal Development projects initiated by the King helped uplift the well-being of the hill tribe people in northern Thailand. 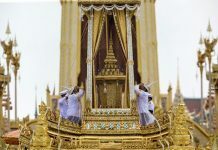 So to thank the King on behalf of Huay Hom’s 72 now well-to-do families, Kamchai Sawankitsomboon travelled more than 750 kilometers to Bangkok’s Grand Palace. There, after queuing for 13 hours, he prostrated himself before King Bhumibol’s coffin — one of nearly 13 million people to do so during a year of mourning that will all but come to a close with the late King’s cremation this week. 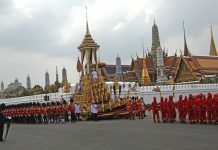 The religious-like fervor surrounding this outpouring of grief stems from many things: nostalgia for the past, a very personal connection that millions of Thais felt they had forged with their beloved monarch, and gratefulness, as in Kamchai’s case, for the decades His Majesty put in working on behalf of the country’s ‘have-nots’. “Thai people will never be the same again as Thailand will never be the same again,” said Thitinan Pongsudhirak, a political scientist at Bangkok’s Chulalongkorn University. Thais born when King Bhumibol’s reign began 70 years ago who are still alive today have known 30 prime ministers and a succession of coups, constitutions and economic upheavals. But until last year they had had only one king who many credit with steering the country through these crises and presiding over evolution from a poor rural society to a modern $400 billion economy. Many were imprinted with his image at an early age. His persona became a part of their lives. Oraboon Imchai Bulut, a young businesswoman, vividly remembers seeing the King’s portrait on the cover of her first school notebook. While she never met the monarch, a friend told her how her grandfather’s eyesight was saved by an operation sponsored by the King. 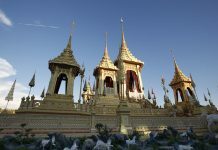 His Majesty the late King will be cremated Oct. 26 within a soaring, purpose-built $30 million pavilion. Officials expect a quarter million people clad in black to attend an elaborate, centuries-old ceremony that is probably the last of its kind in Asia. 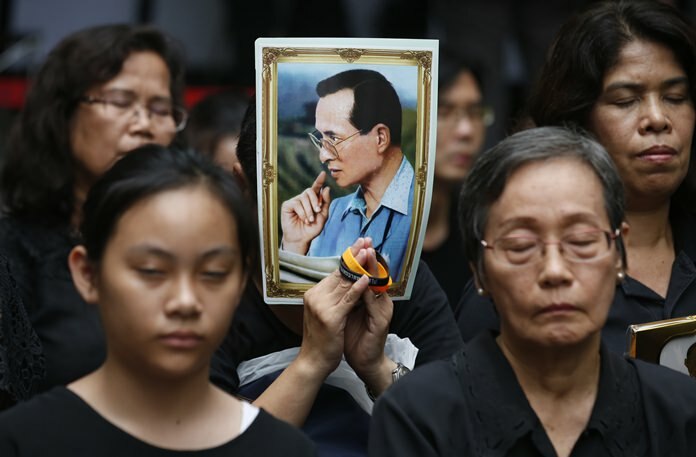 King Bhumibol himself may prove to be the last monarch of his kind, someone embedded in the national psyche through his overreaching sway and historical circumstances. “It was an extraordinary time and he was just an exceptional individual suited for it,” Thitinan said. “The country needed a lot of development so he spearheaded development projects. The country needed to keep away from communism so he was a rallying point, a unifying symbol against communism,” he continued, referring to the Cold War when Thailand’s neighbors fell to communist regimes and the country tackled a domestic, Chinese-backed insurgency. It was during this era that many of the now more than 4,000 royal development projects were seeded. 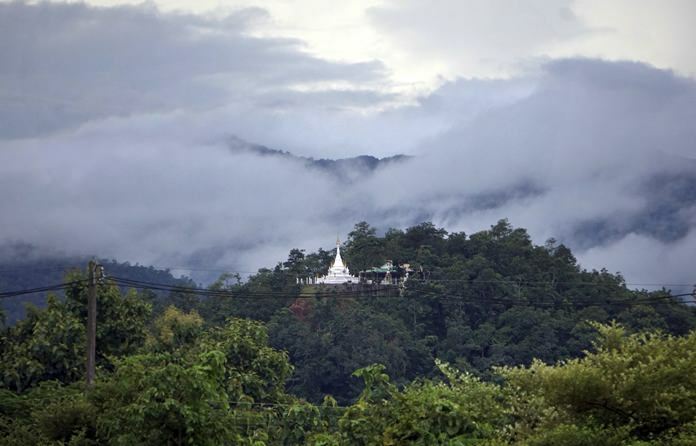 In Huay Hom village, cradled in a 1,000-meter, mist-streaked valley, a third generation of Christian inhabitants of the Karen ethnic minority relate how the Buddhist king built upon earlier help from American missionaries. “Never a day goes by while in the village without one of the old timers reminding me of that day,” writes Richard Mann who accompanied King Bhumibol and his family on that first visit. In an unpublished memoir, the American former head of a project to replace opium by profitable cash crops describes how the local church choir sang hymns to the royals in four-part harmony and how the elders were blunt in their requests for a road, a better school, medical clinic and electricity. Jiripan Davivongs, deputy secretary general of the Chaipattana Foundation which oversees a number of the royal development initiatives, said the projects will continue through government funding and other support. 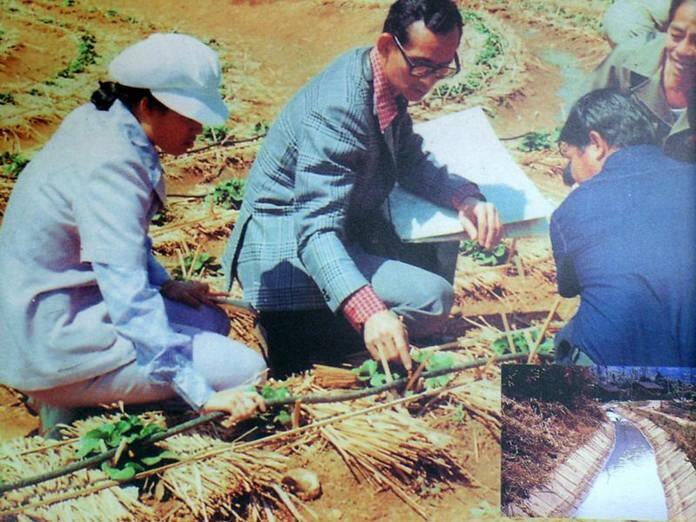 But His Majesty King Bhumibol’s most lasting legacy, he believes, was his concept of the self-sufficiency economy, which stressed smaller-scaled, sustainable production that could better withstand global shockwaves. That notion gained traction when Thailand was hit by forces largely out of its control during the 1997 Asian economic crisis, although some regarded it more as an idealized throwback to an older epoch rather than a viable economic system for an already highly capitalistic, globalized nation. How many of King Bhu­mibol’s words and deeds endure remains to be seen. A recent editorial in the Bangkok Post said that already in the past 12 months, state and other actors had failed in their pledges to follow in the King’s footsteps. It cited excessive military spending, scandals in sustainable agricultural projects, eviction of landless people and the disappearance of conservation activists. “Merely paying lip service to his words and wishes is not enough,” it said. Thitinan says that with a greatly transformed Thailand, the time has now come to recalibrate the old order.